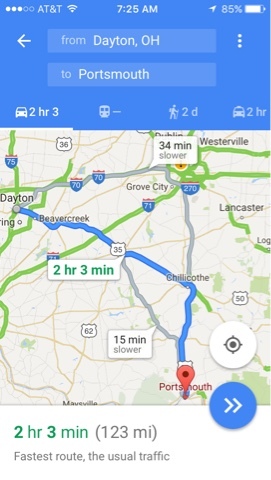 On Thursday, 4/21/16 (Day109) I left Dayton, OH continuing my US Highway travels through small town USA. I thought I would get to Morgantown, WV for the night. 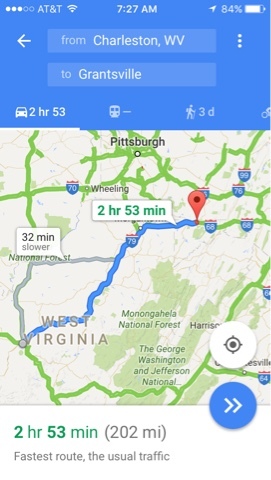 My trip is taking me to the Baltimore area tomorrow (Friday) but my trip today will take me south to the Ohio River along the Kentucky border and then branch off to Charleston, WV. 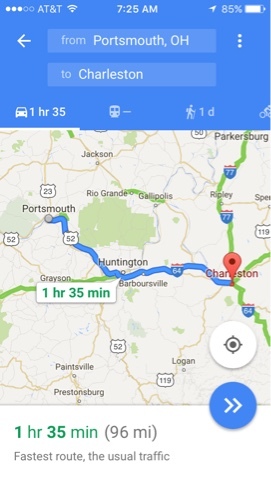 I have never been to Charleston, WV and I wanted to see the city. I first stopped in WV in South Charleston as there is an interesting mound of dirt along side the main road that is a park. 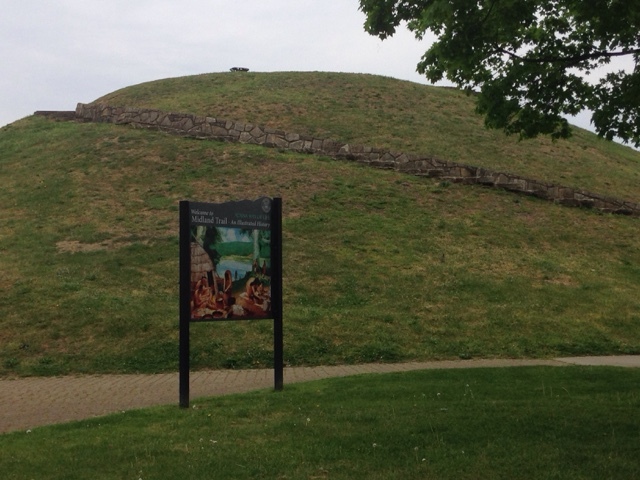 It turns out that it's an Indian burial mound right in the city. There are many Asian restaurants in the immediate area, but I made my lunch In the park from what I was carrying. Charleston is over the river from South Charlestown. I drove through Charleston to get an idea on the city. The housing in the city just outside the downton area seem to have built all about the same time with some run down. As I enter the downtown area there are tall city buildings. I see a long line on of people on the sidewalk leading to a building. As I drive along the line of people I see it is leading to Jimmy Johns. Then I remember it was the day that Jimmy Johns offered sandwiches for a dollar. Had the team been in town I may have stayed to watch it. I continued on to play disc golf. See separate post on the disc golf course. After Disc Golf I again continue on US routed highways north towards Morgantown, but the road gets boring and towns all look the same so I head over to the interstate to change the scenery. I finally stop for dinner just off the highway at Cracker Barrel and a nice catfish meal before looking for a place for the night. I stop at a truck stop and get gas and it's only 7:00 pm and a bit early to stop for the night so I head on for another hour into western Maryland to another truck stop for the night.